Last Friday, I wrote about Fipsy, a $10 breadboard-friendly FPGA board powered by Lattice Semi MachXO2 FPGA with 256 LUTs, but I then remember I had covered a board somewhat similar with TinyFPGA board last year based on either the same MachXO2-256 (TinyFPGA A1), or a slightly more powerful MachXO2-1200 FPGA (TinyFPGA A2). 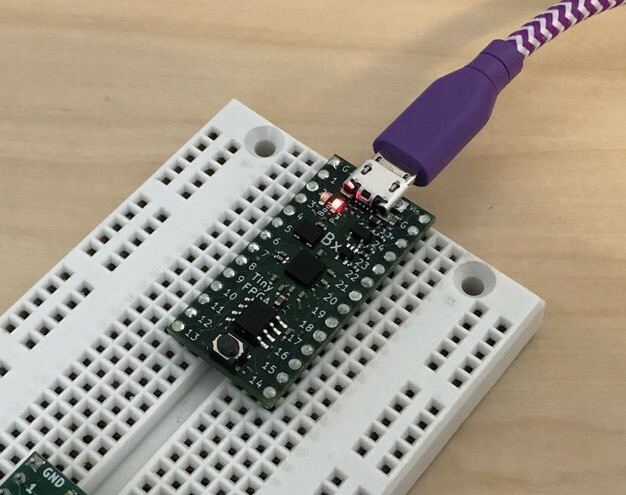 It happens the developer is now running a crowdfunding campaign on Crowdsupply for TinyFPGA BX board, which can be used with a breadboard, and is powered by Lattice Semi ICE40LP8K FPGA that will offer more flexibility thanks to 7,680 LUTs. Oscillator – 16 MHz MEMs oscillator; 1.3 mA power when active; 50 ppm stability. The board will also be open source hardware. AFAIK, the design files are not yet available, but the board is an evolution of their TinyFPGA B2 – whose files are available on Github – with the extra I/O solder pads, and improved 4-layer PCB layout. 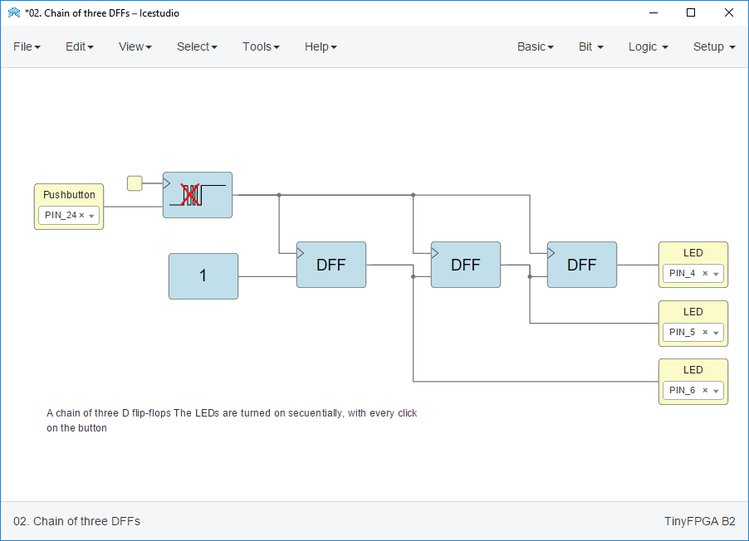 The TinyFPGA BX can be programming in Verilog/VHDL, Migen, and Chisel using the free tools from Lattice, or the open source IceStorm FPGA toolchain, and related tools like IceStudio schematic entry tool to draw a digital circuit instead of writing code. The APIO-IDE project based on the PlaformIO-IDE is another open-source development environment for FPGAs supported by TinyFPGA. Beside the opens source hardware and tools, the board also comes with an open source USB bootloader loaded from SPI flash at boot time, and making the board appears as a virtual serial port device. The TinyFPGA Bootloader also contains metadata on the SPI flash in an open JSON format with a unique ID, a human readable name, some user data, and an firmware/bootloader update URL. 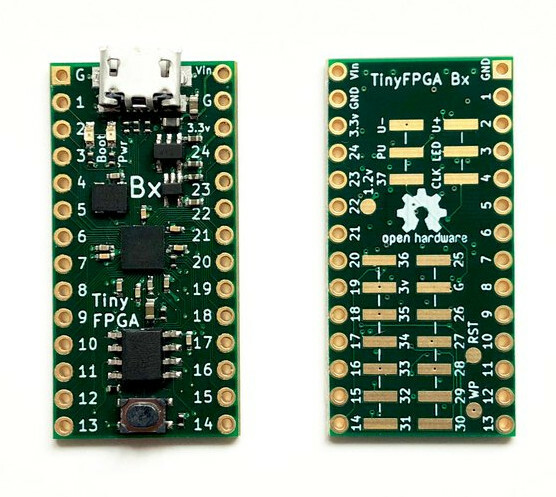 The TinyFPGA BX is offered on CrowdSupply for $38 with free shipping to the USA, and $6 to the rest of the worked. Delivery is scheduled for July 2018.